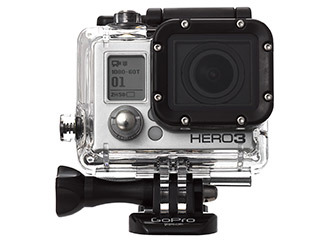 Our company Pearl White Media Inc. believed in GoPro from the start. We are happy to hear that on Monday the company filled paperwork with the SEC for a $100 million public offering. At only 10 years old, the high-definition camera maker has applied to trade under the ticket GPRO on the Nasdaq. GoPro’s revenue is an astounding $985.7 million in 2013, from $526 million in 2012. In essence overall their sales quadrupled between 2011 and 2013. Unlike other large companies, GoPro is actually profitable. It reported an income of more than $60 million in 2013. The company plans on developing new camera devices and increasing their marketing efforts to boost their brand recognition. Their goal is to continuing growing internationally. We wish GoPro the best of luck in their future endeavours.